DAMIAN Barrett says the public deserves an explanation from Gary Ablett and Matthew Kennedy for hitting 'like' on disgraced rugby star Israel Folau's homophobic social media post. Folau published an image to Instagram last week with the accompanying words: "Warning. Drunks, homosexuals, adulterers, liars, fornicators, thieves, atheists, idolators. Hell awaits you. Repent! Only Jesus saves." Rugby Australia terminated the 29-year-old code-hopper's multimillion-dollar contract for breaching its social media protocol. It's the second time Folau has broken the sporting body's social media code following a series of anti-gay tweets quoting Bible verses. The Instagram post was 'liked' by dual Brownlow medallist Ablett and Carlton youngster Kennedy, who are both deeply religious. Barrett said enough time has passed for the public to learn why the pair supported Folau's "disrespectful" post. 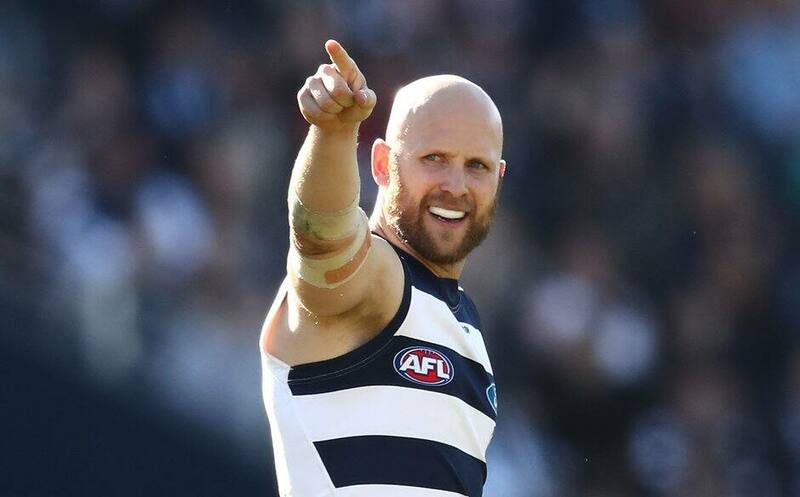 "(Ablett) knows the power of hitting like on a social media post. I want to see and hear what he says. The fact he hasn't yet makes me wonder why," Barrett said on the Sounding Board podcast. "No one's more media savvy in a social media space than Gary Ablett." Craig Hutchison said Folau had to be dismissed from the sport and commended Rugby Australia's action. "What he (Folau) did was the single biggest act of deviance you can imagine of what they had asked him not to do," Hutchison said. "If you look at it from purely a trust point of view, he has to go."